Words and Music by Chauncey Olcott. We stand together, you and I, where we stood years ago. Beneath the same blue Irish sky, our hearts with Joy aglow. You promised, then, you would be mine, in all your charms arrayed. I'm here to claim you for my own, my pretty Irish maid. You are to me, my own, my beautiful Irish maid. I know the love you gave me then is just as fond and true. Those eyes of yours speak hope again, sweet eyes of Irish blue. 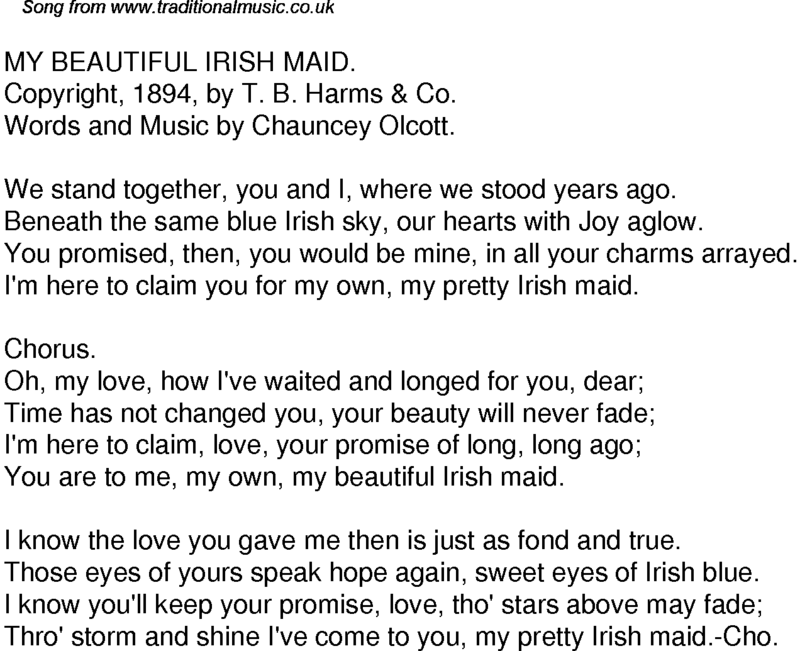 Thro' storm and shine I've come to you, my pretty Irish maid.-Cho.